Coates Hire won the 2012 ‘Rental Company of the Year’ award at the Hire and Rental Industry annual awards. Simon Taylor has taken out the Hettich Design Challenge 2012, which was held at Australia’s premier design expo, designEX. 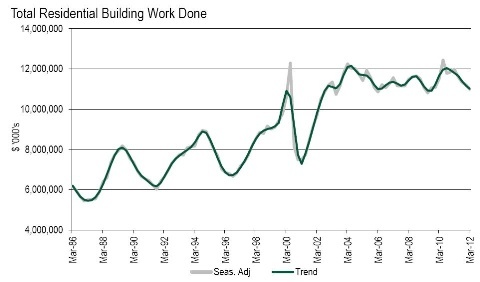 The headline rise in construction work done understates the increasingly dire condition of the commercial building sector, Master Builders Australia. Wool is a natural alternative to fibreglass insulation and has a higher thermal and acoustic rating when compared to traditional insulators. Space Furniture has teamed up with the iconic design houses of Kartell and fashion brand Kenzo to create a limited edition sofa collection. The IMAGINiT Technologies division has launched a new ProductivityNOW portal to serve their Australian clients using Autodesk software and complementary technologies. Kobelco announces the launch of Kobelco Finance to help customers organise finance for new equipment through a simplified application process. Mitten introduce Durabric, a range lightweight imitation brick panels suitable for exterior and interior walls.